Brad Nauss Automotive has a large inventory of D Series parts, for cars from 1956-1975. The parts stocked include mechanical parts, electrical, trim, rubber, etc. If we don’t have the part you need in stock, we can most likely locate it for you in a timely manner. 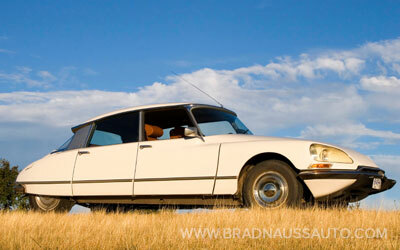 We also have a HUGE stock of New Old Stock Citroën parts from dealers we have bought out over the years. Many of these parts have been discontinued many years ago. You may discover that Brad Nauss Automotive has that hard to come by part for your car that you thought you would never be able to find. Watch for New Old Stock parts in our Specials, one of a kind, and closeouts.